The document follows the announcement in the Budget that Highways England will be given £25.3bn to deliver the strategy, known as RIS2, funded from ringfenced Vehicle Excise Duty through the National Roads Fund. In the foreword, roads minister Jesse Norman writes: 'Our objectives for RIS2 are evolutionary rather than revolutionary, building on the good work begun through the first RIS and its implementation. Highways England’s three imperatives of safety, customer service and delivery must remain the cornerstones of the way the SRN is managed, and RIS2 should reinforce and drive further progress in these areas. Mr Norman sets out a ‘vision’ for the SRN in 2050 – for it to be a network that supports the economy, as well as safer and more reliable; greener; more integrated and smarter. The document does not provide a list of expected capital projects, ‘as we expect to carry out further tests into the deliverability and value for money of front-running proposals before making decision’. Neither the draft RIS2 nor the Budget document specifically mention the £1.6bn Stonehenge Tunnel, which is part of the wider A303 upgrade, The Budget document does cite the Lower Thames Crossing. The Treasury had previously said that PF2 was to be the finance model for both projects. The RIS2 document confirms that the Government expects the use of designated funds to continue in RIS2, ‘but under broader headings reflecting the feedback from our consultation’. These are: Environment and wellbeing; Users and communities; and Innovation and modernisation. It adds that ministers expect to provide Highways England with a separate fund for local capital enhancements to help address pinchpoints where small-scale interventions can bring about significant improvements to congestion or safety, and also incorporate the work carried out by Highways England’s existing growth and housing fund. 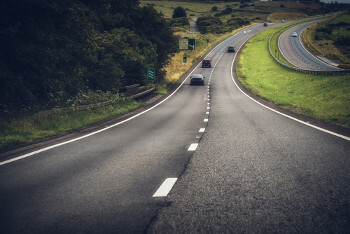 Highways England is required to produce a draft strategic business plan by 31 January 2019, with the Office of Rail and Road carrying out an Efficiency Review by 30 June 2019, ahead of the final RIS in ‘late 2019’.